You got a great product idea, what's next? A product idea can be a sketch on a napkin, or a 3D rendering on your laptop. The next step is to find a manufacturer. For some, the far-east intimidates them, the high minimum ordering quantity, unknown quality, communication barrier, and concerns about labor's working environment. This is where we come in. Having our team physically at the manufacturer's site ensures you get punctual delivery, good quality, no miscommunication in product development, and most importantly, making sure your product is produced in a socially responsible factory where no workers are mistreated. OEM work is the soul of Leeche International. We pride ourselves in setting up the best supply chain for your aspiring bike brand. We have a very resourceful pool of frame suppliers that does work for Trek, Devinci, Ritchey, Yeti, Canyon, YT Industries, Jeff Jones, DMR, Genesis, Transition, Salsa, and Surly just to name a few. 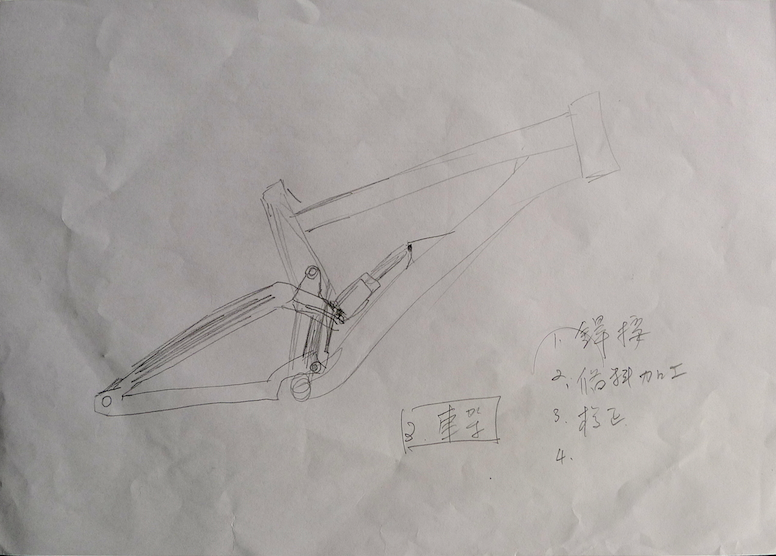 We work with the finest steel, titanium, aluminum suspension, and carbon frame manufacturer in Asia. Below are our primary services. We also accommodate special request. The area we particular excel in is managing the upper supply chain to maximize flexibility. Instead of relying on the tier 1 supplier to source your raw material. We can help you go directly to the source to create a competitive edge. For aluminum tubes, we have our own supply chain for tube butting, tube hydro-forming and mechanical forming. For aluminum frame parts, we have our own supply chain for forging, CNC milling and lathing, as well as fine blanking. For cromoly steel, stainless, and titanium tubes, we have our own supply chain for tube butting, heat treatment, and mechanical forming. For cromoly steel, stainless, and titanium frame parts, we have our own supply chain for investment casting, forging, and metal injection molding(MIM).